Here’s an entry and a couple of the illustrations from my forthcoming book, The Edible City. It’s out in September but I thought the timing of this piece was just about perfect to publish now, with some enormous stinging nettle leaves all over London at the moment. Simplicity itself, this is one of my most loved recipes and I strongly urge you to give it a go. 10th June. Somewhere in East London. Every year, we all seem so shocked that it rains for most of June, but as anyone who has ever been to Glastonbury festival will tell you, it absolutely chucks it down and this is the seasonal norm. Perhaps we are just such a positive bunch that we annually erase this small truth and replace it with soft-focus, childhood memories of endless hot summers. Today I ran a foraging event for a group of lovely people in an East End nature reserve, scheduled for a couple of hours, and despite the wet weather I ended up talking for nearly four hours straight, enthusing about the capital’s wild plants and their myriad uses, touching, sniffing and tasting them as we went. An area of chalk soil, very unusual for London, produced plants I’m more used to seeing on a West Country clifftop than in the city, including the wonderful-looking and equally well-named Viper’s Bugloss (go on, look it up) and a late patch of black mustard, which proved a big hit, most of its fiery-tasting leaves a bit wilted but still with hundreds of stunning little yellow flowers. Think cress meets mustard meets wasabi, a flavour bomb packed tightly into a delicate four-petalled flower, just waiting to explode on the top of a salad or soup. Stinging nettle tempura with a black mustard ponzu. Tempura batter is a blend of plain flour and cornflour but I generally buy the ready-mixed version because I am something of a lazy cook, always preferring the simplest option. To mine I add a little salt to pep it up a bit and make it by combining the mix with some cold fizzy water, stirring with a fork to produce a thin, slightly bubbly batter. Too thin, add more mix; too thick, add more water. To fry the nettles I go halfway between shallow- and deep-frying, putting about 5 centimetres of coconut or failing that, rapeseed oil into a shallow saucepan. 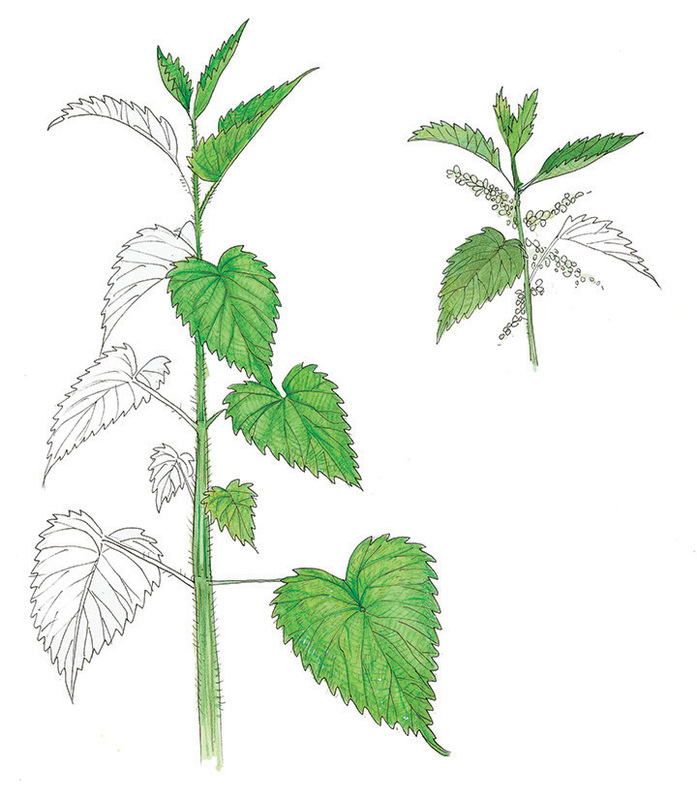 When the oil is good and hot (test by dropping in a tiny spot of batter), I carefully wipe one of my nettle leaves through the batter, turn it over and do the same again, then gently place it into the oil, being sure not to let it fold or wrinkle. 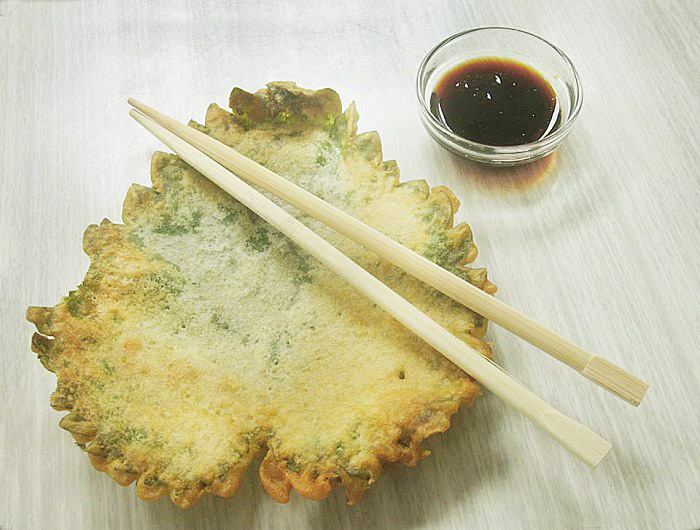 It’s the most fun part of the process and becomes easy with a little practice, as does judging how much batter should be on the leaves – too thick and the batter inflates, too thin and the nettle is too flimsy, just right and after about 1 minute in the oil, you have the perfect edible plate. 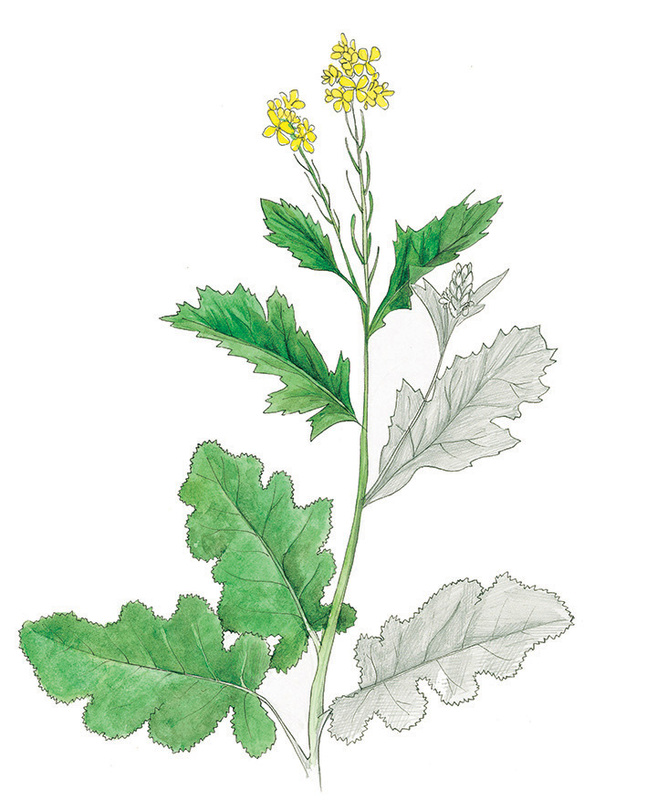 For the sauce use a good handful of mustard flowers – nasturtium leaves and petals would work well too – crushed and ground with a mortar and pestle until they form a yellow paste. In a small pan, very gently warm the soy sauce with the rice vinegar (failing that, white wine vinegar) and the lemon juice. Now add between 2 and 4 teaspoons caster sugar depending on how sweet you like it, and once dissolved stir in the mustard flower paste. Cool before serving. This is far from a traditional ponzu, which is much thinner and contains a fish and seaweed stock, but it’s the wonderful mix of soy and lemon juice that I was after. I love stinging nettle soup. Will have to try them with batter too! Just did that two weeks ago with fresh elder flowers which I let grow in my garden. Very much looking forward to buy your book in September. Thank you for all the information you give us. 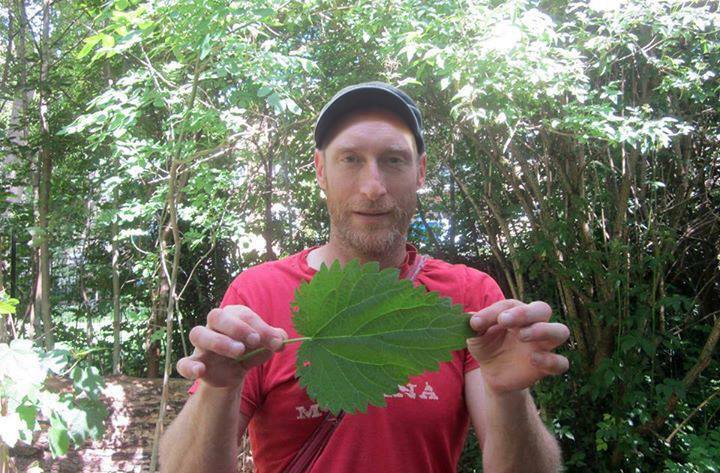 Next post: The Edible City : A Year of Wild Food.